Additives are an instrument of fuel operational development properties which can’t be provided with the previous stages of fuel producing. They lead to product correction, instead of participate in the main method of production. Their efficiency is caused by chemical structure, structure of a basic base, mutual influence and additives mixing process. Improvers which affect some parameters of basic fuel are called multipurpose. The structure of these additives includes some multi directional components for the positive effect of fuel certain qualities. There are some groups of fuel components which are locate on the modern markets. As a rule from them allocate two main groups. To the first group relate components which are necessary by production of standard types of fuel: anti-detonation, ignition pro-motors, antioxidants and depressors. Currently they are producing on the basis of: iron oxides – they are effective and nontoxic, but at excess of admissible concentration can cause by red color deposits; aromatic amines are also effective, they are well combined with other anti-detonators, strengthening their action. 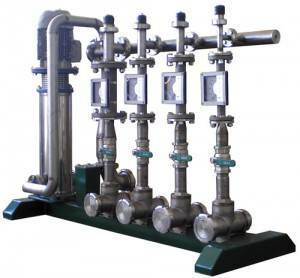 Commercially these fuel components are purchasing by the enterprises which make fuel. The second group is additives which improve operational properties of standard fuel types in the engine, carry out washing and anti-smoke functions. Components for removal of moisture and water crystallization also form low-freezing mixes that excludes possibility of ice jams formation at introduction in gasoline. Washing improvers as the main component contain superficially active agents. As a prophylactic they are most useful in automobile gasoline, because of a significant amount of aromatic hydrocarbons the probability of pollution formation increases. The most perfect washing additives are capable to prevent formation of deposits, but not only in devices of fuel injection system, but also on spray burners and inlet valves. Besides, they slow down deposits in the combustion chamber and eliminate the deterioration of engine work process. It is necessary to make improvers injection in the main component according to technology, using mixing system and observing a temperature mode. 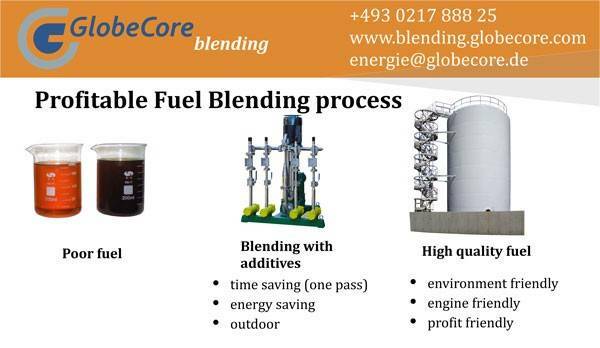 Compounding of mixes commodity fuels (gasoline, diesel fuel) for the purpose of reduction of a consumption of light oil products is one of the most important advantages of blending system. Also the economy of the electric power is important, because additive mixing system works by the principle of one power plant – which is put in mixing process by only one electric motor and one pump unit. Each additive mixing system is developed and made for specific client, according to technical requirements of the customer. This system could be integrated into existing productions, and also projected from the very beginning and on a turn-key basis.